Rechnitz recounts the murder of 200 Hungarian Jews in the Austrian town of Rechnitz on the eve of the Russian army’s arrival in 1945. Professor Gitta Honegger (Arizona State University) is a Fulbright and Guggenheim Fellow. She has translated plays by Elfriede Jelinek, Thomas Bernhard, Peter Handke and Elias Canetti, among others and is the author of the award winning cultural biography Thomas Bernhard: The Making of an Austrian. 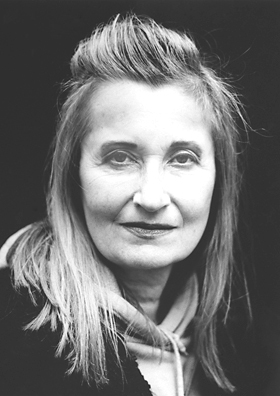 She is a childhood friend of Elfriede Jelinek.